This Foundation Class is for dogs of all ages and teaches the skills needed before moving on to the focused obstacle training in the Basic Agility Class (BA). This class will give your dog the right start in Agility or can also be a great refresher for dogs already active in Agility but needing to fix some “holes” in their foundation by going back to a few basics. Agility Foundation training will teach your dog to focus and be attentive while other dogs are moving, playing or running. You will work with your dog to perfect the stay and recall work that is required for the Beginner Agility class. You will learn basic groundwork such as how to cue your dog to move and turn with you. Clicker training will be introduced and explained. Dogs in this class will not be working on all the pieces of equipment but will become familiar with obstacles designed to promote balance and coordination skills. The Foundation Class will create an even stronger working relationship between dog and handler and will incorporate fun "training games" to promote learning through play. Have fun with your dog while teaching the basics of the sport of Agility. Prerequisites: Dogs must have basic obedience skills in place. This class is a pre-requisite to ALL other Superdog Spectrum Agility Classes. 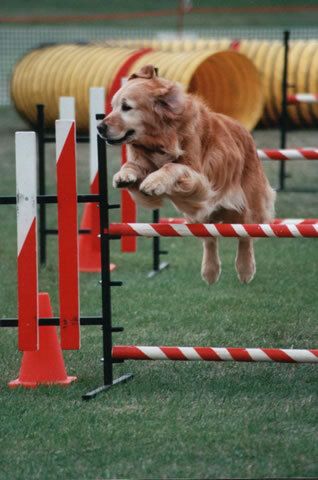 Developing a Strong Foundation: Dogs and handlers learn basic skills needed for success in Agility. "Flat work", away from the obstacles, is emphasized in order to train basic moves and turns. Handlers learn how to keep the dog focused in the presence of other dogs, how to motivate their dog, and how to teach a reliable "wait" command needed for Agility. You and your canine partner will begin the steps to developing a strong foundation not only for Agility but for other canine sports as well. During this class you will develop the groundwork necessary for jumps, weave poles, correct contact performance, target training and much more. Dogs will work on and off leash. Graduation from this class is a prerequisite for all agility classes. Let's Play! 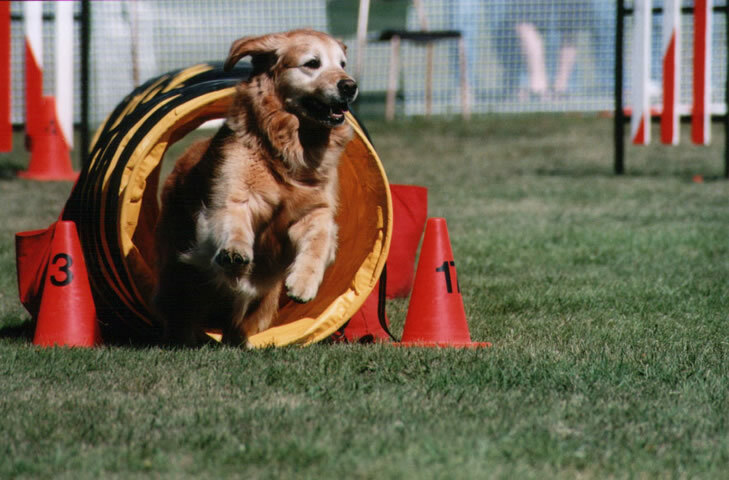 In this class dogs will learn to properly execute the individual agility obstacles. The goal is to have every dog negotiating the obstacles in a safe and happy manner. The skills taught will be shaping, proper use of rewards, targeting for contact work, games to build drive, and shadow handling. We will focus on basic handling skills, learning the obstacles at low heights, contact training, weave pole training, start-line wait, short sequencing and continued building of your foundation work. More flatwork will also be highlighted. Dogs will work on and off leash. Pre-requisites: Teams must have completed Basic Athlete Foundation or be able to show an understanding of targeting, work on the flat work, and working free from distraction. Putting It All Together: Dog/handler teams learn simple sequencing of obstacles. We will stress effective communication of commands from the handler and the development of focus and responsiveness in the dogs. The goal is to prepare the dog and handler for the more advanced levels of agility. Full courses will be run occasionally but the intent of these sessions is to help you perfect your execution of smaller sequences in order to facilitate your fluid handling when you get to run a full course. Obstacle heights will be raised. Emphasis will be placed on handling skills and sequencing. Teams must be working contacts at full height, have a good start line wait and be able to work off leash without visiting others to advance from this class. Pre-requisites: Teams must have completed Basic Athlete & Novice Athlete or be able to show an understanding of work on the flat, targeting, and knowledge of all obstacles at lower heights and be working free from distraction. Running the Course: It's now time to get ready to compete. 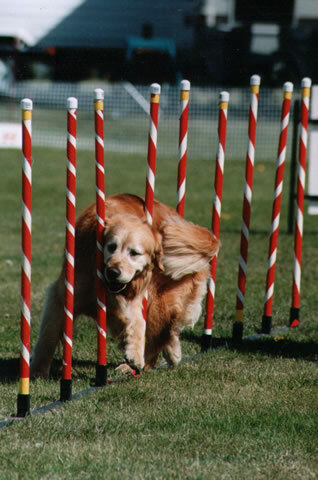 Handlers & dogs will begin to solidify their obstacle performance, particularly the weave poles and contacts. Longer sequences will be run. Handling exercises will be stressed. Teams must be working free from distraction and have a solid wait (while the handler is walking the course and at the start line) prior to advancing to the competition level. Foundation work will continue to be highlighted. Pre-requisites: Teams must have completed Excelling Athlete or be able to show an understanding of work on the flat, targeting, have knowledge of all obstacles at full competition height and be working free from distraction. This class will focus on improving handling skills. Sequences will address varying topics each week such as crossing techniques, contacts, weaving, distance work, fast starts, and fast finishes etc. We will help you evaluate your strengths as part of a team with your dog and improve on your weaknesses. You will work towards reinforcing the bond between handler and dog so that you are able to read each other's progress on the course. This class is fast-paced and requires a high degree of interest and motivation from both the dog and the handler. Pre-requisites: Teams must have completed Excelling Athlete and Master Athlete or be able to show an understanding all obstacles at full competition height, have a solid sit stay (at the start line and while the handler is walking the course) and be working free from distraction. Dogs must be ready for competition or already be competing. Dogs must be able to perform all the equipment including 12 weave poles. We will focus on such things as improving teamwork, commitment to directed obstacles and direction between obstacles, handling challenging multiple obstacle sequences, moving smoothly and quickly as a team, and dog/handler focus. We will help you evaluate your strengths as part of a team with your dog and improve on your weaknesses. You will work towards reinforcing the bond between handler and dog so that you are able to read each other’s progress on the course. This class is fast-paced and requires a high degree of interest and motivation from both the dog and the handler. Remember to bring water for you and your dog. Bring lots of tiny pieces of your dog's favorite soft treats. If you know how to use clickers, we encourage you to bring and use them. Your dog to be hungry and motivated. We suggest that you don't feed him before class. Bring your dog’s favorite toy. Please call Superdog Spectrum at 217-8737, before 4 pm on the Friday afternoon prior, in order to register. We require confirmed registrations each week in order to hold this specialized class. $240 + GST and Each class meets once a week for 8 weeks. The Agility Competition class is an ongoing level of instruction aimed towards dog & handler teams that are competing or would like to further their training to a higher level of competition. All dogs entering this class must have completed the Superdog Spectrum Agility Handling program or equivalent training as assessed by our agility instructor. Dogs must be ready for competition or already be trialing. Dogs must be able to perform all the equipment including weave poles. Class topics include improving teamwork, commitment to directed obstacles and direction between obstacles, handling challenging multiple obstacle sequences. Moving smoothly and quickly as a team, and dog/handler focus. This program is designed for agility students/dogs that know the equipment well. And are looking at getting their dog to work further away from them. The class is an ongoing level of instruction aimed towards dog & handler teams that are competing or would like to further their training to a higher level of competition.